OK, this is the only joke I have found mentioned in the Spirit world, so far. No matter what you think of the joke, at least it shows there is a sense of humor in the Spirit world. 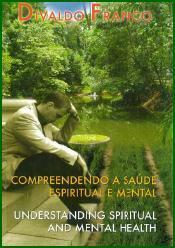 If you would like to understand Spiritism more, please read my book, Spiritism 101 – The Third Revelation. You will learn that you are an immortal souls, who travels through many lifetimes on earth to learn to become a pure spirit.